There’s a reason so many tourists come to Rome - it’s an astonishing city that captivates and astounds. But the flip side of this is that, in many of the places you’ll walk when visiting the Eternal City, you’ll be sharing your space with hundreds (of not thousands) of others. The streets of the historic centre are, for much of the year, jammed with people and there are moments, as I walk the city, that I feel simply overwhelmed with the number of selfie sticks I’m seeing. 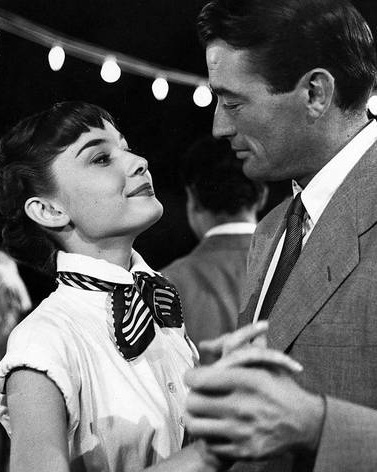 I had always wanted to stroll along Via Margutta - made famous by Audrey Hepburn (and her handsome co-star, Gregory Peck) in the fabulous ‘Roman Holiday’. After seeing the film, I was utterly enchanted - not just by Hepburn’s beauty of course, but the charm of this small street. Just a stone’s throw from the Spanish Steps (packed, year round), it’s a far cry from the chaos that is central Rome. Jam packed full of history and art, it’s an oasis of tranquility, and it’s beauty and atmosphere couldn’t fail to win over even the most cynical of visitors. Before their time, the “Associazone Artistica Internationazle” held all kinds of ‘high society’ events which were attended by the likes of composers Wagner and Puccini and literary heavyweights such as Zola, de Beauvoir and Sartre. Walking along Margutta today, I’m taken aback at just how quiet it is - we’re a stone’s throw from ‘Tourist Central’ but I could be forgiven for thinking I was in a quaint Italian village. I see antiques stores, jewellers and art galleries. The orange and yellow hues of the walls contrast wonderfully with the spring blossom and lavender everywhere. And how could I not mention Fellini in this journey? The director lived at number 110 and, at night, could often be seen at Bar Caverna, round the corner at Piazza Popolo. No doubt he gained much of the inspiration for his masterpieces from living in this charming sidestreet - the house is marked with a commemorative plaque. And for antique lovers, there are plenty of charming little stores where you can browse, looking for the perfect artefact. 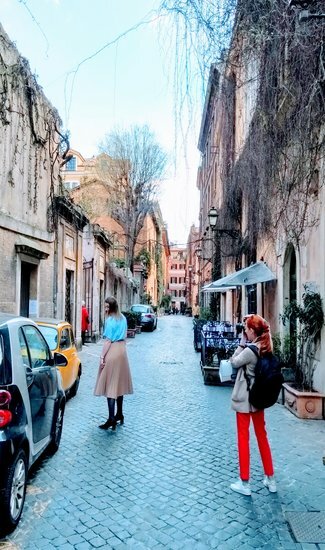 It’s truly one of the most beautiful streets I’ve had the pleasure of walking on in Rome and if you want to get away from the tourist hoards, you couldn’t do better than to make your way here. If you want to stop and have a lazy lunch, sit outside at ‘Osteria Margutta’ and enjoy the view of the street’s window boxes whilst you devour antipasti along with a glass of good Chianti. There’s also ‘Margutta’ at the end of the street, which serves an exclusively vegetarian menu. It’s hard to imagine what’s been and gone here - from the stonecutters and blacksmiths of the Middle Ages, to the great composers of the 19th century, then Picasso and Fellini - this street isn’t just charming, but it has a pedigree all of its own. Whether early in the morning or late at night, I’d highly recommend taking a ‘passagiata (the Italian, loosely translated, means ‘leisurely walk or stroll’) and luxuriate in its charm.